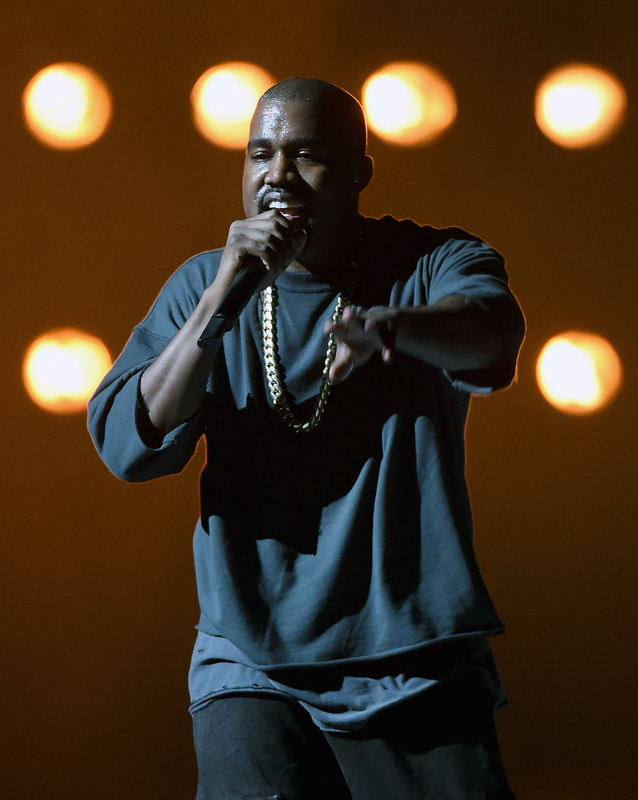 With the show in full swing on Sunday night, many fans are wondering where Kanye West is at the 2016 BET Awards. The iconic rapper didn't appear on the red carpet, but is up for several awards this evening, which is why his apparent absence is a bit surprising. West is up for Best Male Hip Hop Artist, as well as Best Collaboration (with Big Sean and John Legend) for "One Man Can Change the World." And rumor has it that he is slated to perform and receive the Ultimate Icon Award, but sources for both of those tidbits of information are a little shaky. According to International Business Times, Kanye West will be honored at the 2016 BET Awards when he is presented the Ultimate Icon Award, a tribute entirely fitting for a guy whose own ego probably cast the majority of votes itself (just kidding). And according to Wikipedia (always a reliable source), West will also be performing, a mashup with Desiigner on "Panda" as well as his own "Champions," the first single from Cruel Winter. But since BET has yet to announce or confirm either a Yeezy performance or that he's the recipient of such a major award, it's likely that neither of these things will happen, and those reports are just speculation. Still, I'll be on the lookout throughout the BET Awards, if any artist is likely to surprise us all, it's Kanye. And one thing's for sure: If West does, in fact, show up, his presence alone will immediately make the Internet explode.